I know they say you're not supposed to judge a book by its cover. 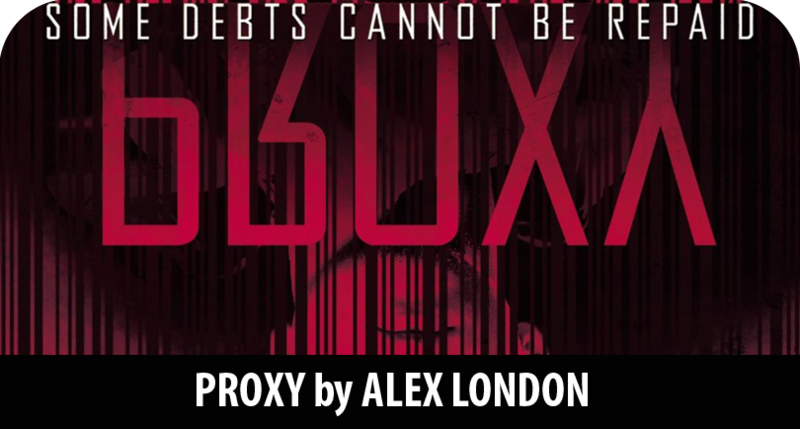 But late last fall when I was shopping in Barnes and Noble and already had a very full hand basket, the cover for Alex London's Proxy jumped off the shelves and into my hands. Why? Because the cover was just way cool and stunning. The description of the book, plus the hype from Marie Lu were what sealed the deal for me, but the cover for it just screamed exciting to me. And I wanted a fast-paced and exciting book. I did a LOT of book shopping in the fall. Faced with a leukemia diagnosis and months in bed, I stockpiled unnecessarily. Between physical books I bought, e-books, and ARCs, I have well over 200 books in my TBR pile and though Proxy excited me, it came home to join the shelf and wait its turn. 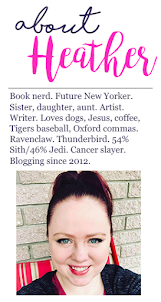 Fast forward to early May when I was perusing the internet and looking for bookish events that I could attend while I was in NYC when, lo and behold, Alex London was having a launch party for the sequel to Proxy, Guardian, at Books of Wonder, my absolute favorite bookstore in the entire world. Excited to do anything bookish and to have a really great reason to go to Books of Wonder (other than giving them all my money), I packed my copy of Proxy and hoped for the best. The day before the launch event, I fished Proxy out of the book suitcase and headed down to one of my favorite places, Washington Square Park, with a venti mocha from Starbucks in hand and proceeded to lose myself in the book and devour more than half of it in under two hours. Given that I bought the book because the cover and description seemed exciting and unlike anything I'd read, it was safe to say that in just a few hours, it had made good on all its promise and surpassed my expectations. I was hooked. Dystopian and fantasy books are my bread and butter. I'll read and enjoy almost anything YA, but I consistently return to those two genres. But because I've read a LOT of them, I'm also always looking for something that reminds me of nothing I've ever read, because I can't stand stale ideas. Proxy is anything but stale and certainly meets my primary objective: It reminded me of nothing I'd read before. In this dystopian society, every child who is born into wealth and who has financial means has assigned to them proxy. The proxy is usually a child who has no family or whose family has no means for taking care of it. In order for them to have the basic essentials that they need to live, these proxies enter a life of servitude for their childhood years and receive the punishment or pay the retribution that their patron, the wealthy child they are assigned to, earns. The proxy is indebted to the patron and their family, who pay their way in life, and they work off their debt -- or literally have it beaten out of them. 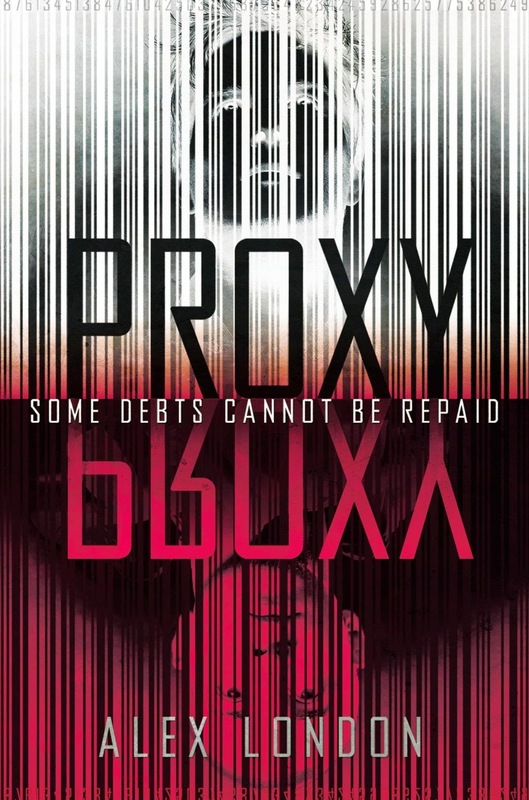 Proxy follows the life of Knox, a wealthy patron who has very little concern for human life or responsibility and really only has an interest in living the good or "luxe" life. He consistently misbehaves, he's ungrateful for the charmed life he lives in, and cause more than his fair share of trouble -- for which his proxy, Syd, takes all the heat. When Knox gets into an accident that nearly costs him his life and takes that of another patron, Syd is sentenced to death, just as he is about to turn 18 years old and finally come out from under the thumb of his ambivalent patron. Though they were never supposed to meet, Syd and Knox's paths cross accidentally, and the two of them, along with a few other friends, go on an exhilarating and deathly roller coaster ride to help Syd escape the punishment he doesn't deserve and to help him discover his destiny. Alex London is a fantastic story teller. After having met him, I can say he is every bit is engaging in real life as his writing is on the page. His characters come from the heart, his stories are unforgettable, and his world building is among the best in YA dystopian literature today. He creates a vivid landscape and his characters go through an amazing journey in which we see both characters evolve. Knox especially embraces his humanity in the best way, and we see him go from a vengeful teenager who has had everything handed to him and is mostly concerned with exacting revenge on his father to a young man with a sense of responsibility and duty and whose decisions create a ripple effect in a society desperate for change. Proxy was one of those books I just couldn't put down while I was in New York. I found myself pulling it out of my bag everywhere I went, from the park to the subway to the coffee shop to the dinner table while I waited for my food. On the night I finished it, I stayed up MUCH later than I should've to finish it because I had to know where it ended. Alex accomplishes a LOT in a very small amount of pages, all things considered. The story felt full, well-rounded, thorough, and satisfying. At 384 pages it was so wonderfully complete. By comparison, I finished City of Heavenly Fire immediately after and though it had 725 pages, I still felt there were holes. Yet Proxy was completely and totally pleasing, with no loose ends. Alex described the second book, Guardian, as the sequel he never intended to write and though Proxy ended on a fine note for a standalone book, I'm thrilled he decided to write another installment because I want to know more about these characters and the aftermath of their journey. I was honored to be at the launch party for a series that has totally captivated me and very grateful to get to be in Alex's space. I gave Proxy a full five hearts. Have you read it? What did you think?